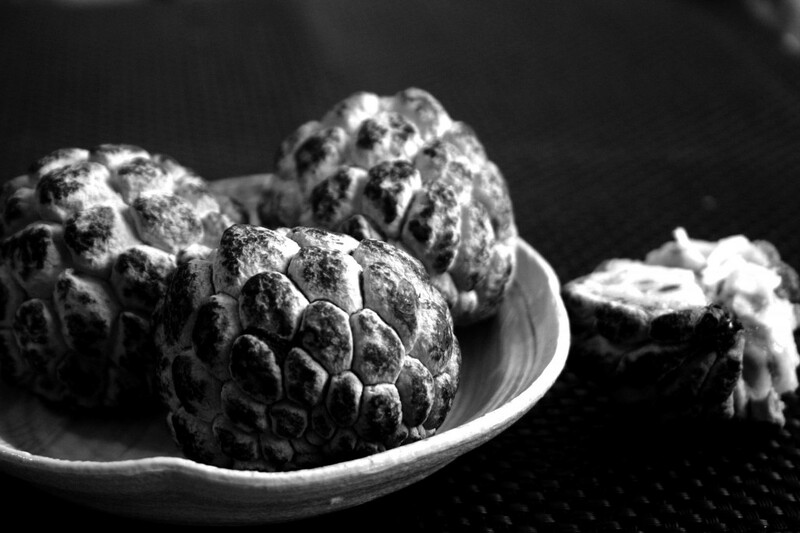 And speaking of being picky, one of the food that I abhor as a young kid was Atis or sugar apple. In some parts of the world it is known as custard apple. They are native to tropical Americas and widely grown in the Philippines. Atis is part of the Annonaceae family that includes the more commonly known cherimoya ,guyabano or soursop and surprisingly, theilang-ilang tree. The Spaniards may have brought the seeds to the Philippines in the early 17th century and the local name hails from the Aztec “ahate”. Atis is fruit that can be heaven in taste, provided that you have the patience. Once you cut the fruit in half hundreds of seeds inside are coated with a soft sugary pulp or meat that tastes like a super sweet custard. You can scoop them with a teaspoon and eat directly. Warning: its a real pain in the neck for you have to unseed them as you eat them inside your mouth. But once you master the art of eating and unseeding them you will reach your Atis Nirvana Mode. They are normally abundant during summer between March to May in the Philippines. I haven’t tried making any dishes out of them yet. Maybe they’ll be good in some bake sweet dishes. Sharing this Atis Photograph at Black and White Wednesday Week 41, event created by Susan of The Well Seasoned Cook and hosted by Cafe Lynnlu. You can check my other previous entry. Nice Click! We call this fruit ‘custard apple’ back in India and I love this fruit too because of the flavor. Beautiful post! Thanks for participating in BWW #41! An ideal still life subject. Quite beautifully textured and toned, Hilda. Just right for BWW.